The little carnivorous animal has suffered one of the steepest population declines ever to be documented. In just 15 years, it went from being a common animal to the brink of extinction; and the cause is an unusual one: an infectious tumor. No good news – until now. The little guys still have hope after all; after the disease started spreading, it reached the northwest corner of the island state of Tasmania where it encountered a new population of tasmanian devils. Something unexpected happened then: the disease changed, and started stalling. Fewer devils are developing the tumour, and the ones that do live longer. 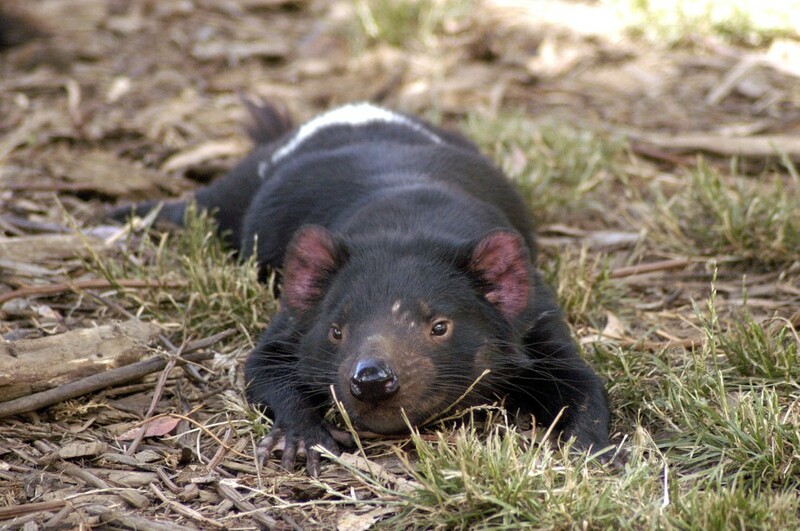 The disease itself is absolutely deadly: it kills virtually any tasmanian devil it infects, the natural immunity is only 1 in 10, and every effort to stop or even slow down the disease have failed miserably. Until now, the best plan zoologists had was to keep some tasmanian devils isolated in shelters until the disease effectively burns out. Should the species actually become extinct – it would be dreadful. Not only because of this itself, and the fact that the tasmanian devil is a national symbol, but also because it is a top predator in its ecosystem. They keep invasive feral cats and foxes in check. Cats and foxes are largely responsible for the extinction of over 20 species of mammals in mainland Australia. In Tasmania, some of those affected species still exist in the wild, like the Eastern Quoll, the Pademelon, and the Bettong. But without the devils around, the last of these species would likely fall to cats and foxes. It would be a dramatic event with huge repercurssions. 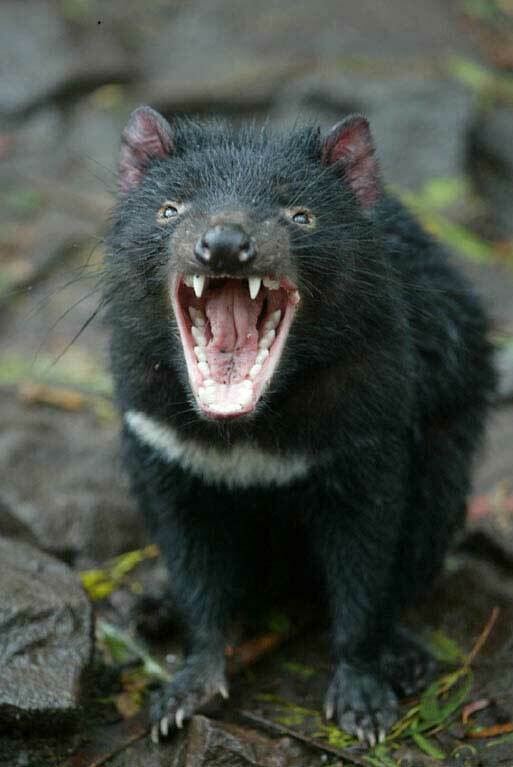 Long story short, for more reasons than one, the tasmanian devil has to live! Man, I just love saying that! “The population (in western Tasmania) is declining, but slowly, slower than it did in the east. And the devils are living with the tumor much longer — it used to be that devils in the east with tumors would die within 3-6 months. In the west some are living with the tumors for 18 months,” said Jones. When researchers analyzied the devils from the West, they found something pleasantly unexpected: two uninfected devils had produced antibodies to the tumor — something no devil had ever done before. Furthermore, the tumour had changed too. The tumors infecting devils in the western area are tetraploid — meaning they have duplicated chromosomes and four sets of each gene instead of two. These tetraploid tumors grow more slowly than the original tumors. This is absolutely extraordinary news for them! It is the ray of hope they have been expecting for years now, because if either the devils are different or the disease itself has changed, this is what is called a ‘management lever’ – a way to stop the infection from spreading and destroying the entire population. However, Jones remains cautiously optimistic, seeing the current findings as a glimmer of hope that the devils aren’t doomed to extinction in the wild. Keep fighting, guys! We'll do our best. It is my personal hope and belief that researchers will somehow finally be able to deal with disease; it would be incredibly sad, and, as I said earlier, an ecological tragedy for such an amazing population to be doomed because a disease. Keep fighting, guys! We’ll do our best.